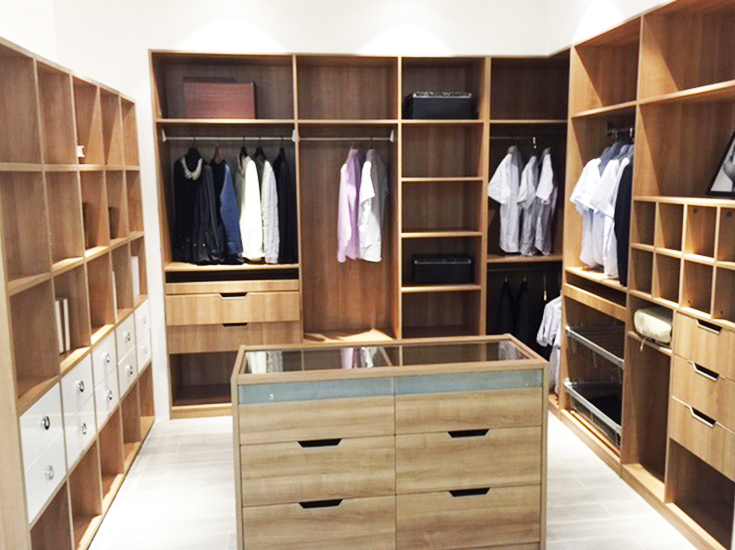 Well designed wardrobes offer efficient storage space. More than space – a system that implements an everything-you-need and nothing-you-don’t approach, giving you the space you need with tie and trouser racks and a cloak storage facility. All wardrobes come with sufficient storage baskets and drawers. Made from only the finest materials and finishes, our wardrobes stand the test of an ever-demanding family built to withstand everyday wear and tear. Walk-in wardrobes provide the luxury of both space and accessibility when it comes to great storage ideas, offering much more storage space, ease and comfort. A walk-in that allows for adjustable shelving offers greater flexibility and functionality.